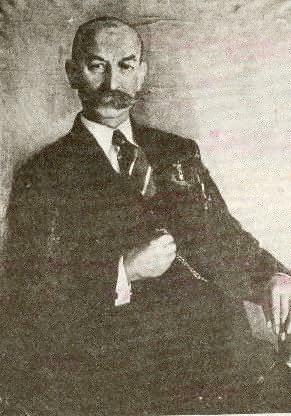 Antoni Abraham was born on 19th of Dec 1869 in Zdrada Village near Mechowa, Puck District. That time this part of Poland belonged to the Prussia but majority of Kashubian preferred to belong rather to Poland. Abraham's father was an employee not owning a farm. His mother was Franciszka from Czapy. Abrahams were poor family; they lived in the small clay-pit, but they worked hard and honest what allowed them live in peace. They were very piousness and patriotic. Mother sang many Polish songs to little Antoni and talked him a lot of Kashubians legends. Soon he had finished an one-class school, and the next a four-class school. He enjoyed learning and he had got many questions, because of that Prussian teachers beat him mercilessly. In this age Abraham had been finding his Kashubian origin in the nature, in church, and whole his environment, he had been learning how to fight with an Prussian invaders. When Abraham was 16, his father suddenly died. Then a young man had to earn a livelihood for his family. For a short time he worked as a wood-cutter, in a cementary, and in a fish-manufactory, but he didn't enjoy any of that work. He knew he should be more devote for his nation. At the end of 1890 Abraham had married about 10 years older Matylda Paszkowna. She was a good wife and mother for five their children. They came to Orle near Bolszewo. Their children's life was very unfortune. One of them, the daughter died because of accident when cutting woods. Their sons ignored their Polish origin, what harmed Abraham and was his great tragedy. They died soon in the battles of World War I. Searching the better-payed work, poor Abrahams moved to Grezlowo in Olivian Forests. But again he didn't like such a work and life. After that Abraham's family were living in Sopot, where Antoni was working as a driver in a transportation firm. They became rich, bought two own houses in Sopot, estabilished their own transportation firm and rented a gravel-mine. Unlucky, his German friend needed much money and he rented it from a bank. Antoni endorsed his credit. The German failed, so Abraham had to sell all his fortune to pay off the credit. Nowdays we don't know it's only a coincidence or a German scheme... Abrahams moved to Oliva, where Antoni was working as a transport agent in the German firm Singer-Neidlinger factoring the sewing-machines. It was the beginning of Abraham's social work, because his work was to go from house to house, so he was bringing a patriotical newspaper to Polish people, and talking with them about Polish independence (Poland was still occupied by three invaders). 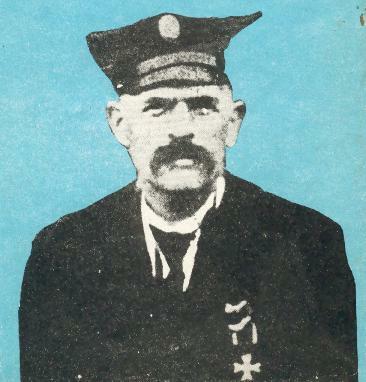 He was very religious, every year he guided the pilgrimages to Wejherowian Kalwaria. He spoke on the demonstrations, in checzes (Kashubian pubs) and the meetings of the People's Society in Reda, of which he was the head. Because of his speeches in Polish and making a stand to the Prussian police (he threw the chains off) several times he went to the prison. In the time of this intensive work he also wrote the articles to Gdansk's Newspaper and signed them: Antek from Tucholskie Forests, Antek with a big horn (=snuff-box), Antek from the Sacrified Jesus's Heart church, Antek from under the old oak, Antek from Kartuskie Mountains. He was sitting with other Kashubians in the restaurant called Under the oak. 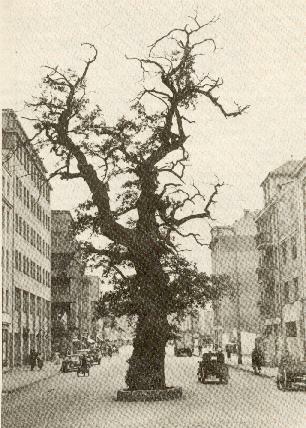 This name was because of the restaurant's location under the Napoleon's oak, which was growing in the middle of Portowa street. While there was the World War II, Germans cutted the tree, but it is still in the old people's remembrance and on the old photographs. Soon the Warld War I became. Polish people from one occupied part had to fight with the Polish people from the other occupied part of Poland. Abraham fought in the German army in France, but he got hurt and came back home. He continued his work in Oliwa with the double power. He consolated people in the hard moments, he belived, that the end of war will be beginning of the independent country of Poland. He was right. When the war had finished, people estabilished Poland, but it was without Kashuby region! Then Abraham could do his famous work - going from house to house and talking about an addition of the Baltic Coast to Poland. On the peacefull conference, after the war, in Wersal, France, he went with three other delegates to attend it. Their aim was to define a countryborder, which the Kashubians accepted. One of the delegates was Abraham, who was already known on the Coast not only because of his big height and power. Only two of the delegates crossed by the Prussian Border. Prussians didn't want to let pass the people who wanted to advocate Polish land. 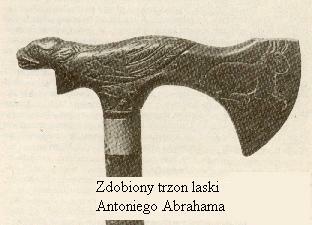 Kashubian historics knows many legends about Abraham's trip to Wersal. One of them is that he and Tomasz Rogala wore the begger's clothes and Prussians could'n recognize them. On the conference they showed a Polish, Kashubian newspaper Gryf and an adress-book of Gdansk with 9250 (!) Polish surnames underlined (ending on -icz, -ski, -cki). Unfortunatelly, their arguments were not sufficient, and Polish Coast had stayed under the Prussian occupation. But Abraham get glory and a flame for himself and for a Polish matter. After returning from France Abraham was still active - he was a member of the District Council of Oliwa. At 10th of August 1920 Abraham moved to Gdynia and from that time the small house at Starowiejska str. 30 became popular. 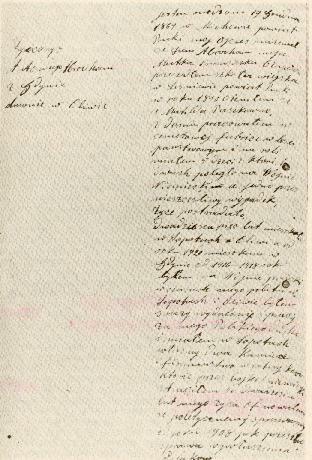 Soon there were only Abaham's wife and daughter from whole family living in Gdynia, because Antoni went to Puck. There he was working as a cheef of a fish-curing manufactory. Abraham's House was again modest, but not poor. Antoni turned his eyes and work at the Gdynia Village and building a port-city in it. For his brave and hard work Abraham got a decoration - a Chivalrous Cross of the Polish Revival Medal. He also met many known people like Stefan ¯eromski (famous polish writer), general Józef Haller, Jan Radtke - the village major of Gdynia Village, Augustyn Krauze - the first major of Gdynia City. Because of an industrious and intense life Abraham suddenly suffered with a stomach-tumour. 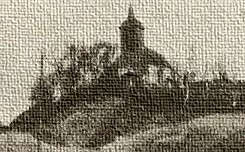 Unhappy, 23th of June 1923 Abraham died and had been buried at the oldest Gdynian church's cemetery. Before the burial, a long funeral procession took leave of the great regional hero. In that way the fruitful Antoni Abraham's life finished. Now the wind, water and walls of the old House on Starowiejska str. can tell you many legends about the Kashubian Apostle.